It’s a job that wouldn’t even exist 50 years ago: studying plastic in our oceans. Today, sadly, it’s vitally important. Oceanographer Dr. Sarah-Jeanne Royer is one of the many scientists focussed on the issue. Based in Hawaii, she works with the International Pacific Research Center to better understand how plastic debris moves around and affects the world’s oceans. Last month, she published groundbreaking research showing a new link between plastics and climate change – revealing for the first time that plastics emit powerful greenhouse gases when exposed to sunlight. 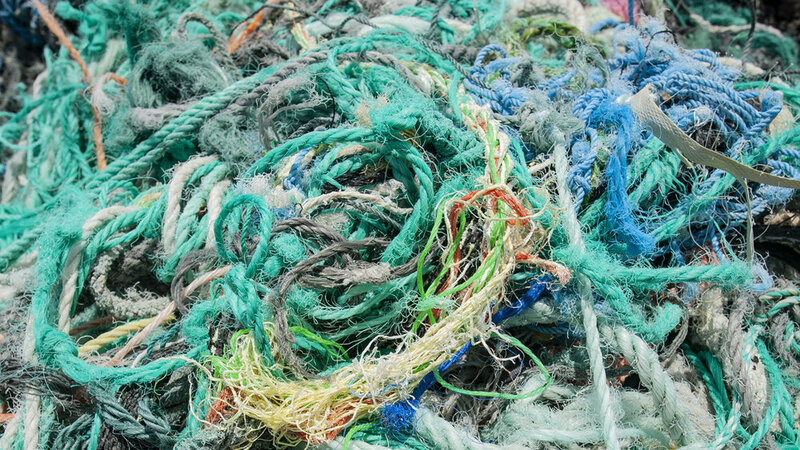 In the first in a new series, Dr. Royer reveals a growing problem in Hawaii and beyond: massive, tangled clusters of fishing nets and ropes drifting ashore on beaches and coral reefs. 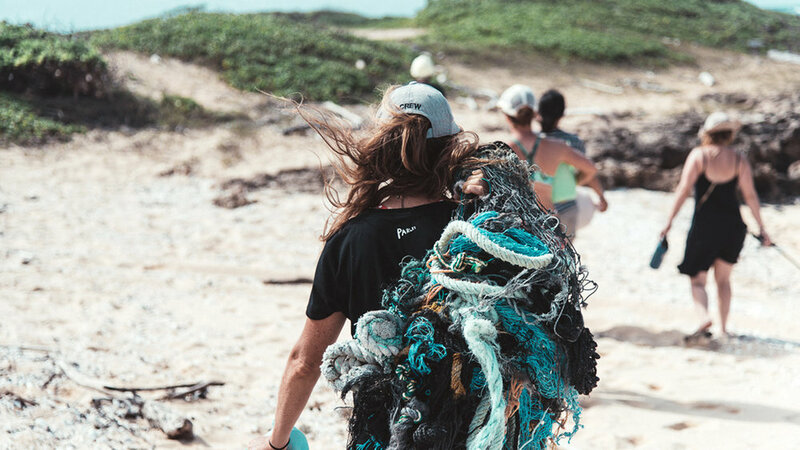 We get a lot of fishing nets that drift out of the North Pacific Garbage Patch and end up on the Northern and Eastern sides of Hawaii – but at the beginning of this year we started seeing a lot of nets on the south facing beaches, like Black Point, Diamond Head and even Waikiki. 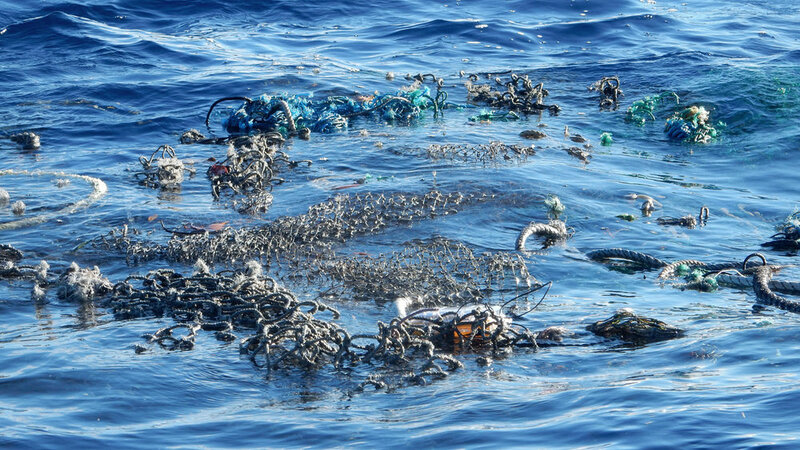 The nets are huge, multicolored blobs of plastic and all entangled in each other. One net that was found at Kamilo on Big Island earlier this year was estimated at 40 tons, which has never been seen before in Hawaii. It’s not normal to see so many nets at these locations, so I started looking into the issue. It turns out that fisherman sometimes entangle these nets and ropes on shore deliberately, then attach flags, pieces of fabrics and other material to create a large surface area. They’ll then dump them in the middle of the ocean where they slowly create floating ecosystems. These so-called Fish Aggregating Devices (FADs) are also often tagged with solar powered geo-positioning system and sonar system to determine fish concentrations. This system allows fisherman to monitor the nets in the ocean and once the threshold of biomass has been reached, the buoy pings the boat for it to go catch everything around the net. For this ecosystem to be created it might take six months to a year, depending on where they’re placed, but eventually you start to get biological growth, with bacteria and algae growing on them followed by molluscs such as gooseneck barnacles. Fish arrive and attract bigger fish, and sharks, and when animals get entangled in the nets and ropes and die it further attracts other predators. Over the last nine months we’ve found so many – and once they wash up on our beaches or get tangled on coral reefs it takes days to remove them. Underwater or even at the surface of sharp volcanic rocks, we have to cut each and every line, so even with eight people it can take over 40 hours. We don’t have enough funding and manpower here in Hawaii, because it is very time consuming to remove only one net. From the coast out to 200 km it’s national waters, but after that it becomes international waters and there’s no regulations. It’s very hard to monitor. Anything can happen on the high seas. But we can tell by the devices that wash ashore – it’s not small fisherman, it’s also about big fishing companies. Some of the nets and equipment are very expensive, so it’s really about working hand in hand with the fishing industry – globally – to crack down on this problem.